We will start the decluttering challenge with something small. The mission for today is quite simple: clear out your handbag, purse or backpack that you carry regularly – a place that gets easily cluttered and decluttered. If you haven't cleared out your handbag for a while, you may find some interesting things in there. I recently found an avocado that I had forgotten to take out after grocery shopping. Whoops. What is the strangest thing you've ever found in your handbag? Is my handbag big enough? Does it have a comfortable length? Does it have too many – or too few – compartments? Are the straps digging into my shoulders uncomfortably? Can I change any of its contents to a smaller sized version? Empty out your handbag / backpack. Take everything out – don't forget about all the compartments, pouches and pockets in both the interior and exterior of your purse! Do you like your bag? Are you happy with the contents of your bag? How can you minimize the weight? How can you maximize the organisation? What belongs in your bag and what doesn't? Any loose change that needs to be taken out and added to your piggy bank? A book you don't actually read? Too many pens? Discard any obvious trash like old receipts, bits of paper, food wrappers, used tissues etc. 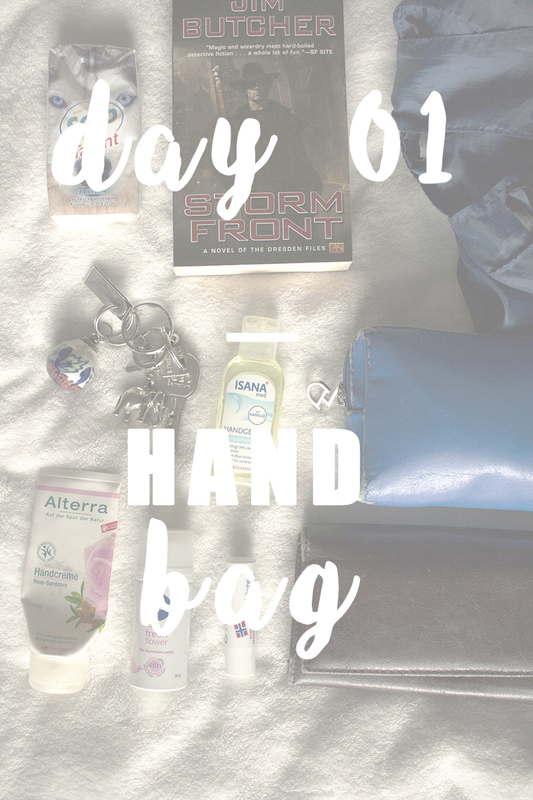 Put everything that doesn't belong into your bag but you still need to its designated place. If you come to the conclusion that your handbag doesn't correspond with your needs, think about selling or donating it. You did it! The first assignment of our challenge is done! How do you feel? Now give yourself a pat on the back and call it a day. Tomorrow is going to be a little more demanding... See ya tomorrow!